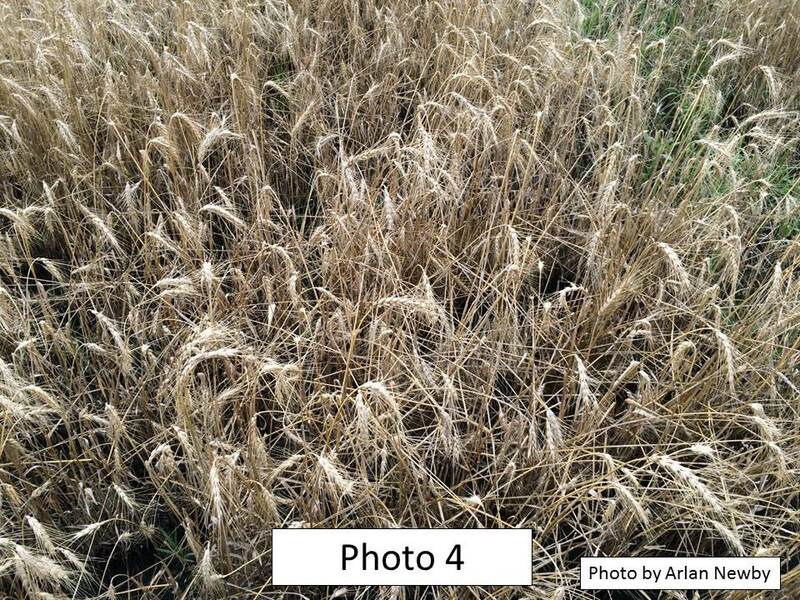 First 2015 reports of JB captures: Desoto June 9; Manhattan June 15; Topeka June 16. Look for their numbers to rapidly increase. 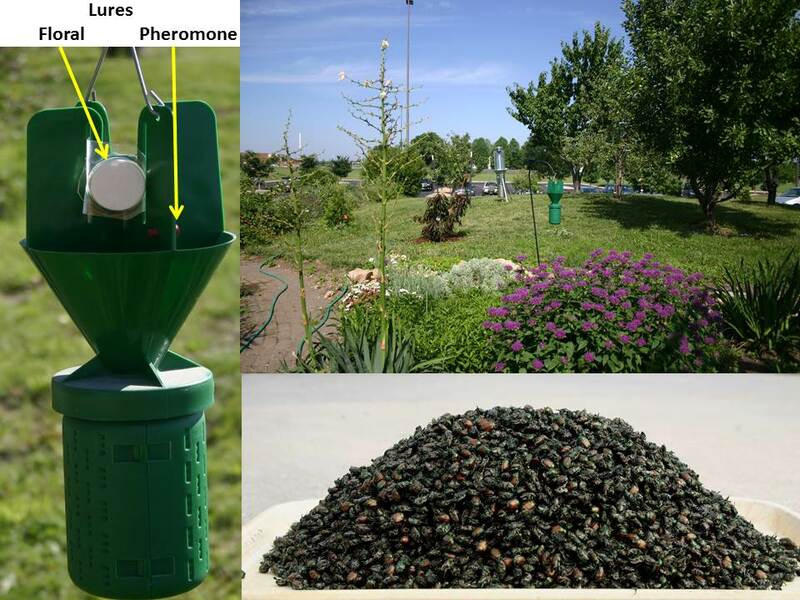 People concerned with JB feeding on landscape plants need to be vigilant in inspecting plants for the presence of JB. If present and if in damaging numbers, corrective actions should be undertaken. Refer to K-State Research and Extension Publication MF3151 – Japanese Beetle, which is available and downloadable on-line. The Deafening Sound of Silence – Where are the Periodical Cicadas? It is a few days past a month since my first encounter with the Brood IV periodical cicadas. What an enjoyable treat it was living with the “little beauties”. It was impossible to escape the cacophony of millions/billions(?) of male periodicals “singing-their-songs” in tree tops. The response to the oft asked question, “How long will they be making a ruckus?”, was that by the end of June, they will have run their course. And so it has come to pass. Off my back deck, the nearby cassini ceased their calling on June 18 (this cluster was restricted to just several trees in the ravine area immediately behind my house). On Father’s Day, I called my visiting daughter out —- to hear one (maybe two) septendecim(s) calling further down the way. Nothing since. I have purposely driven several routes where the blare of periodicals was inescapable from both sides of the road. Over the past week, the calling diminished to just sounds from occasional groves. And the last 3 days, all has been quiet. While there may be some occasional reports of still active pocket populations of periodicals, those too will soon cease. Essentially, the 2015 emergence has come-and-gone. What has been left behind are the eggs that were inserted into tips of branches. 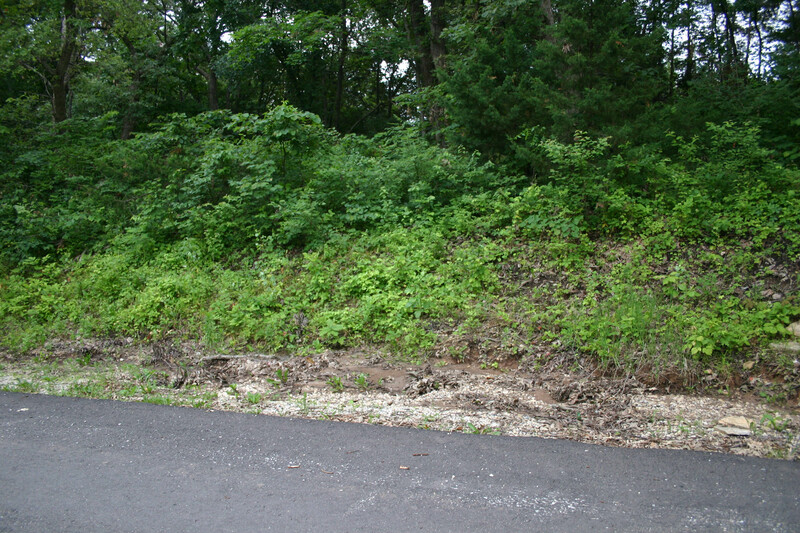 This will become evident with the eventual appearance of dead brown terminal portions of branches. 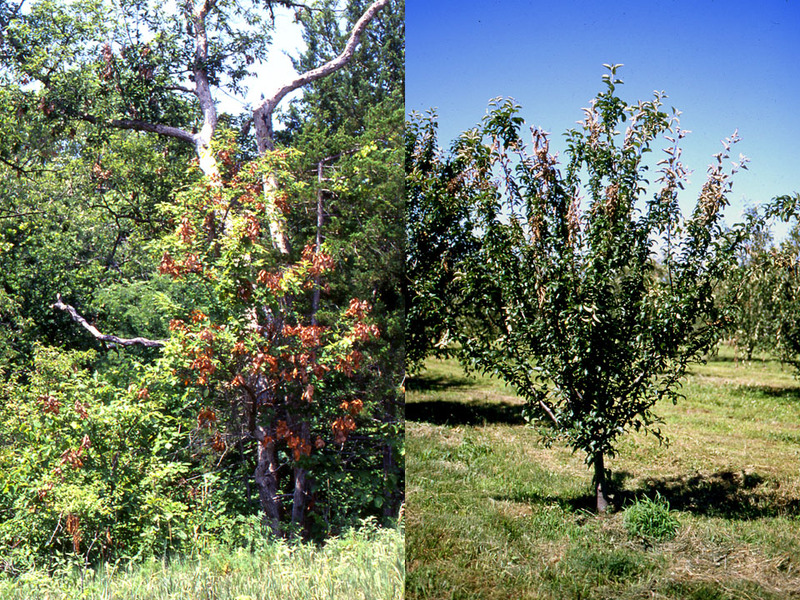 People should not be concerned about the health and vigor of their trees. 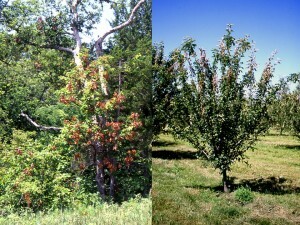 Just consider this to be a minor “natural pruning”. The tiny nymphs that hatch and drop to the ground will burrow into the soil and begin their 16-year developmental cycle which will culminate with their emergence in 2032, and the next Brood IV of 17-year periodical cicadas. 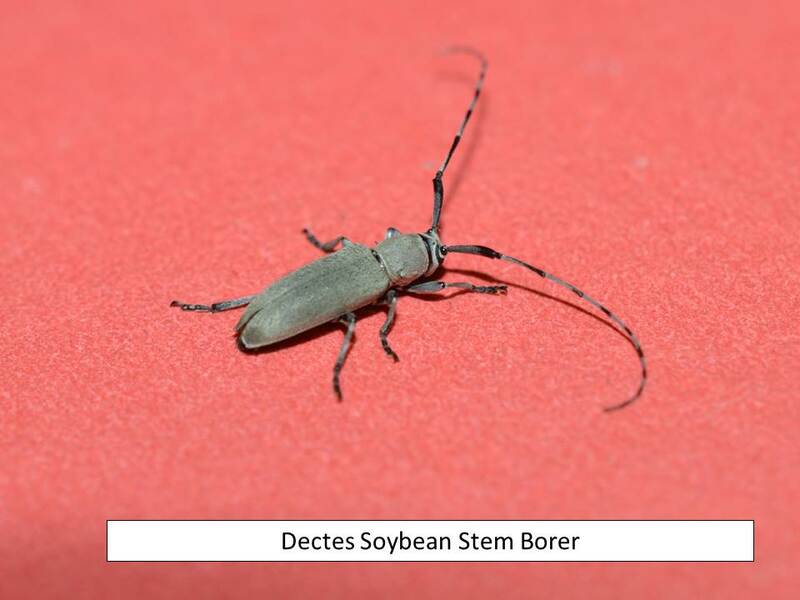 The first Dectes soybean borer adult was observed on 23 June in Dickinson County, KS. Most of the corn in north central and south central Kansas is at, or just passed, the whorl stage and there seem to be very few whorl-feeding larvae. However, the Western corn rootworm adults are just starting to emerge from the soil. 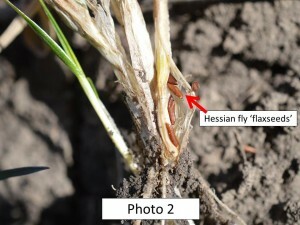 These adults were 1st detected on 23 June in Dickinson County. 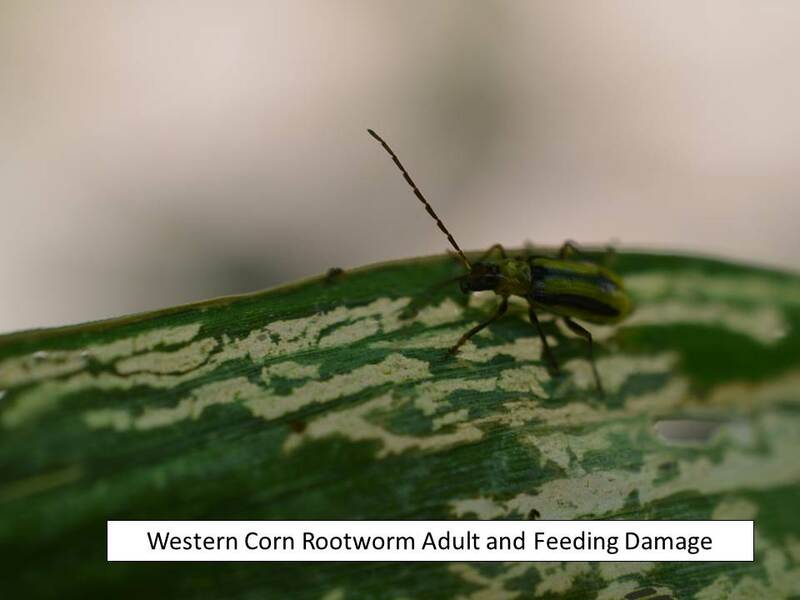 These beetles are feeding on the leaf tissue as the plants are not yet tasseling or producing silk/pollen. There is quite a disparity of rootworm life stages in this same field. 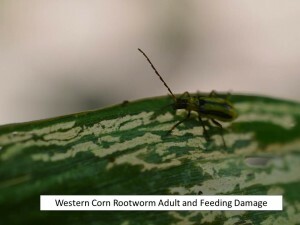 There are many adults in the northwest corner but still mostly larvae, even relatively small ones, in the southeast corner of this same field. 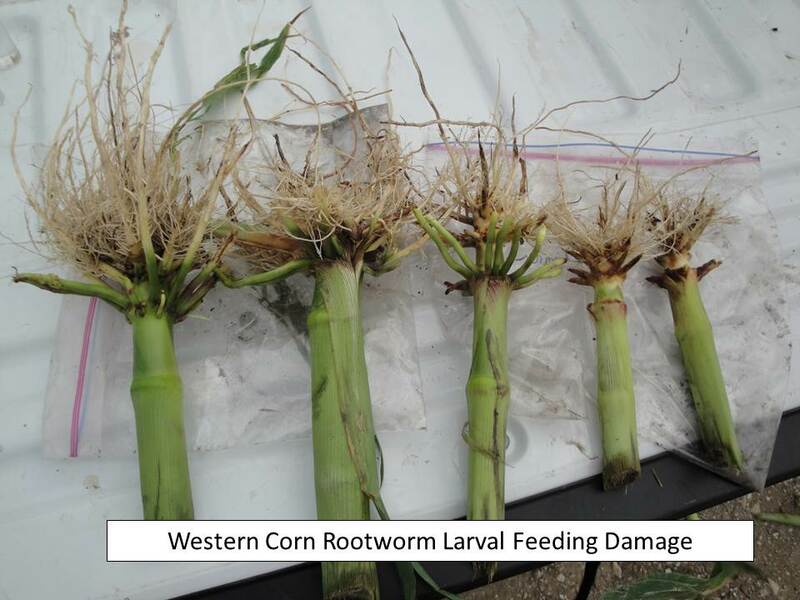 Some of the feeding damage caused by the rootworm larvae can be seen in the last photo. There are also numerous grasshoppers around field borders and in waterways/pastures, etc. These grasshoppers are still small so now is the time to treat these areas if the populations are sufficient to warrant it, approximately 20 per square yard. They do not yet have the ability to fly, thus are still contained in these smaller areas where they are better controlled without spraying larger areas of crops. 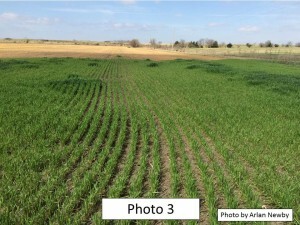 Alfalfa can be kind of a forgotten crop during this very busy time of year. 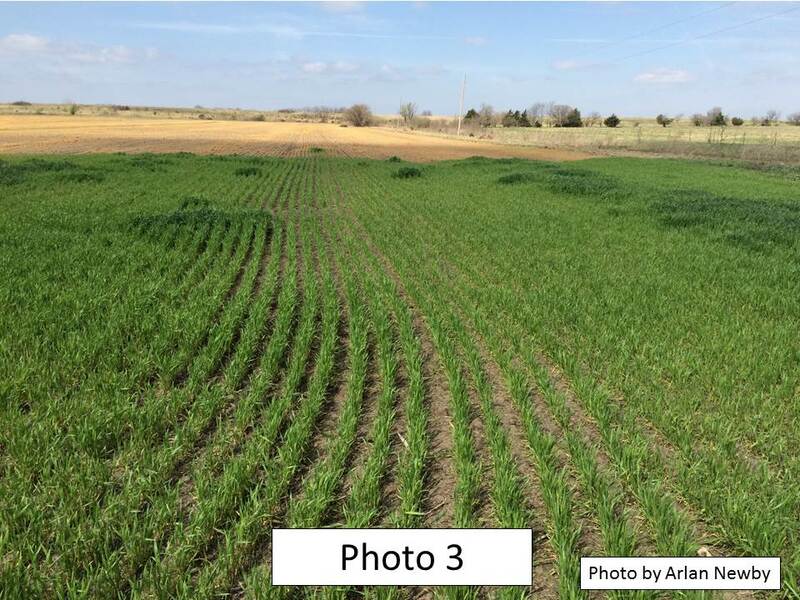 Most growers are busy planting sorghum, soybeans, sunflowers, and/or harvesting wheat, working wheat ground, etc. 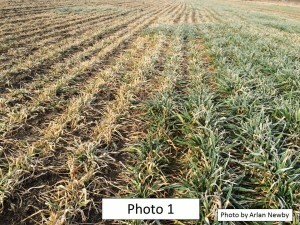 This year, so far, has been a rough one for swathing and baling alfalfa. 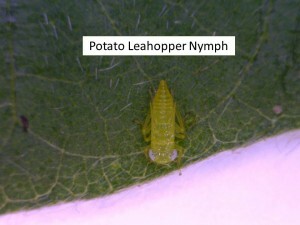 Now, there are substantial infestations of potato leafhoppers, both adults and nymphs. 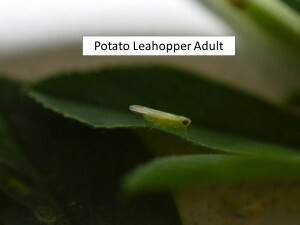 Potato leafhoppers can be quite damaging from now until fall. 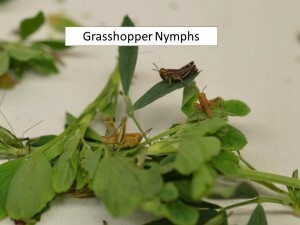 Both nymphs and adults feed by sucking juice from the plant and in so doing inject a toxin into the plants. 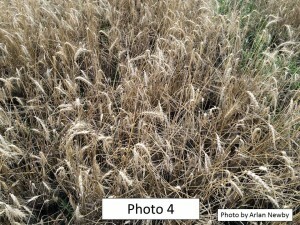 This can cause serious yellowing of the leaves, and even stems, if it continues for very long. Generally, swathing and hay removal will disrupt this feeding and remove the leafhoppers from the fields. They rarely re-infest fields after this physical removal or after an insecticide application, if that is justified. If swathing is possible within the next 7-10 days, that should take care of the potato leafhopper problem. 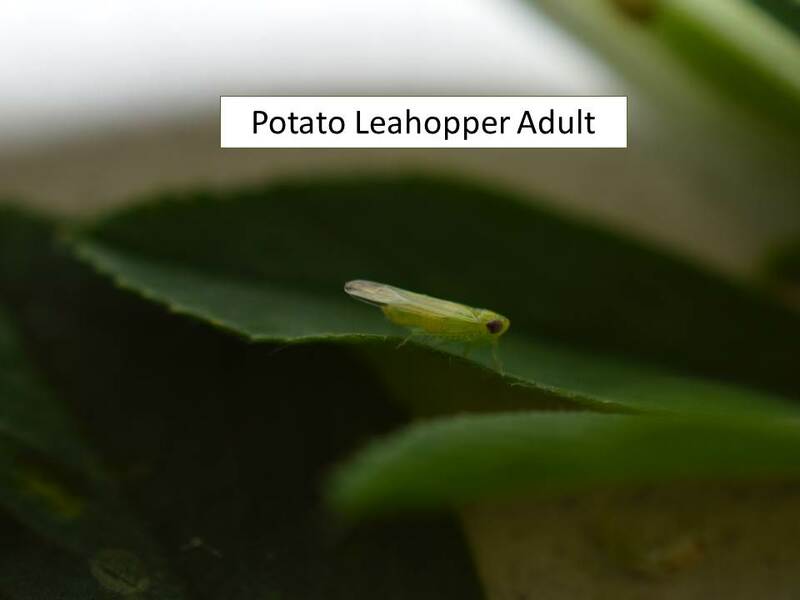 However, be sure to keep scouting these fields as the damage caused by potato leafhoppers usually occurs much before the yellowing is noticed. 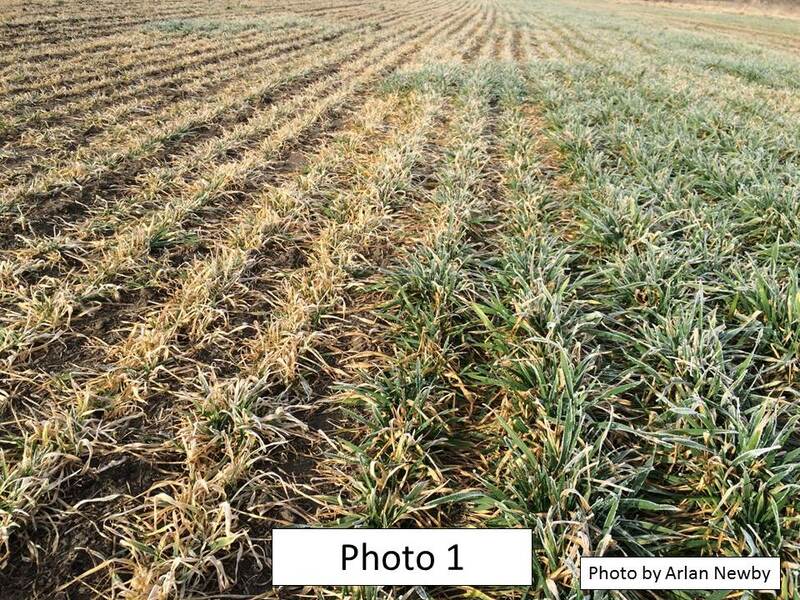 This feeding damage is cumulative – the stressed plants don’t seem to regain their original vigor and therefore don’t ever yield as much tonnage as expected. While I am not saying that this will happen, the excessive spring rains might be conducive to promoting movements of massive populations of millipedes. Millipedes in of themselves are harmless (do not bite, sting transmit diseases), and in fact are beneficial in their natural role as decomposers (feeding on dead organic matter). It is the sudden presence of large populations moving in and about residential properties that can be disconcerting. Millipedes are elongated wormlike arthropods. 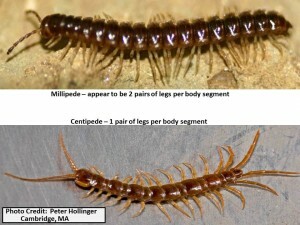 They can be differentiated from centipedes by virtue of the number of legs per body segment. 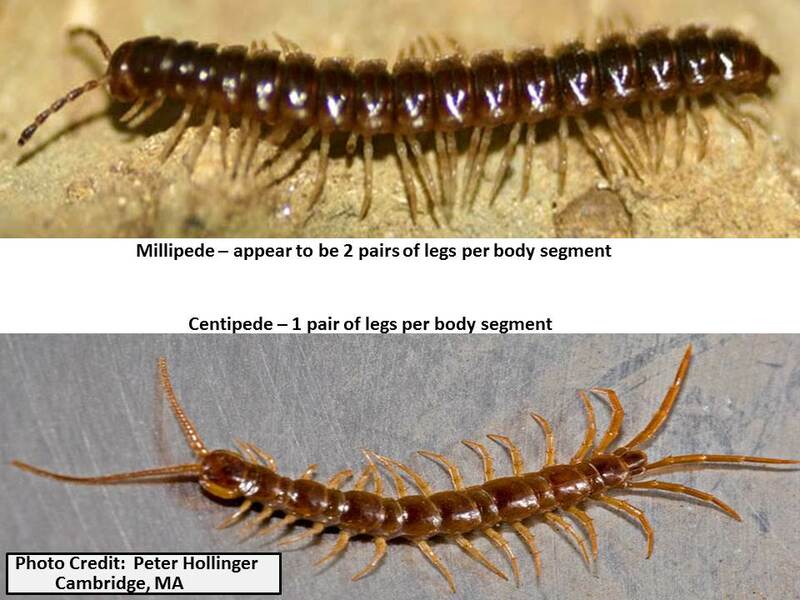 Whereas centipedes have a single pair of body legs per segment, millipedes appear to have 2 pairs per body segment. I use “appear” because what appears to be a single body segment actually is comprised of two fused segments, each with a pair of legs. 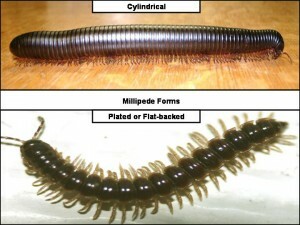 The two most common body forms for millipedes common are cylindrical and plated (flat-backed). 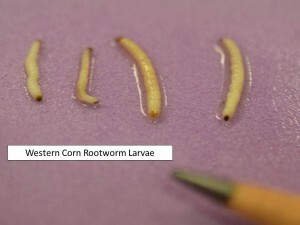 Cylindrical millipedes are sometimes referred to as “wireworms” (not to be confused with “true wireworms” – the larvae of click beetles), and when viewed from above, their legs are somewhat hidden due to their ventral position. The legs of flat-backed millipedes are more highly visible as they project outward from beneath the extended plate. The life cycle of millipedes extends over a period of years. Depending of conditions, development from egg to adult may require 2 – 4 years, with adults living additional years. 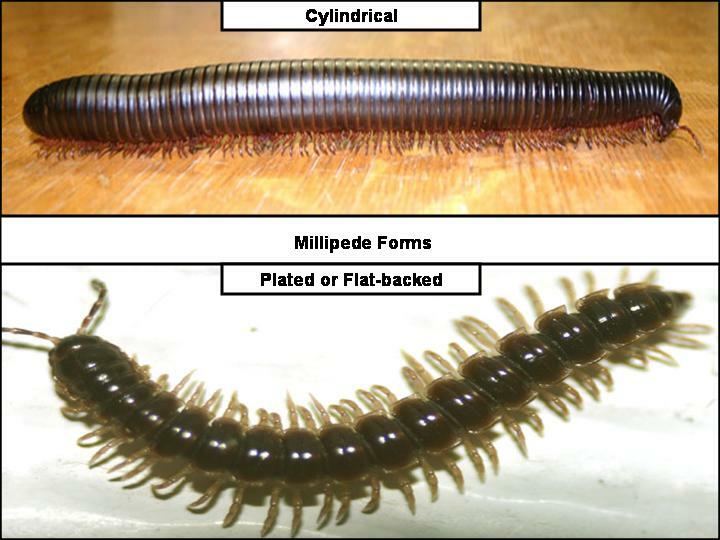 Thus over time, millipede populations build up (especially) in heavily wooded areas which satisfy their preference for shaded and moist environments where they primarily feed on decaying organic matter, notably leaf litter. 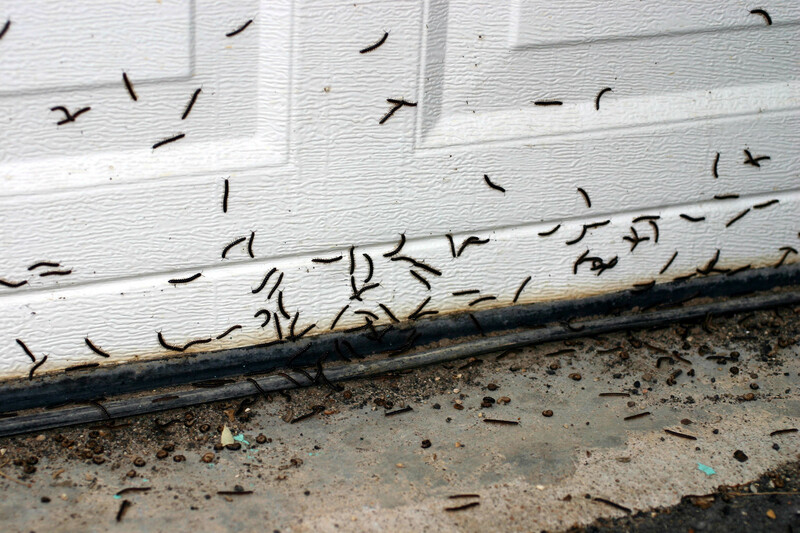 For reasons unknown, countless numbers of millipedes move/march in droves. They make their presence known when they invade yards and homes. 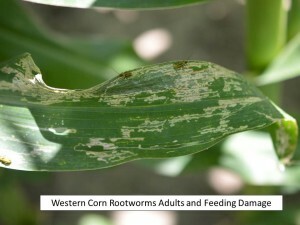 This accounts for reports the reports of “worm invasions”. And although millipedes are harmless to people and pets, they may enter garden areas and sometimes feed on tender plants. The most common complaint, however, is their disconcerting presence. 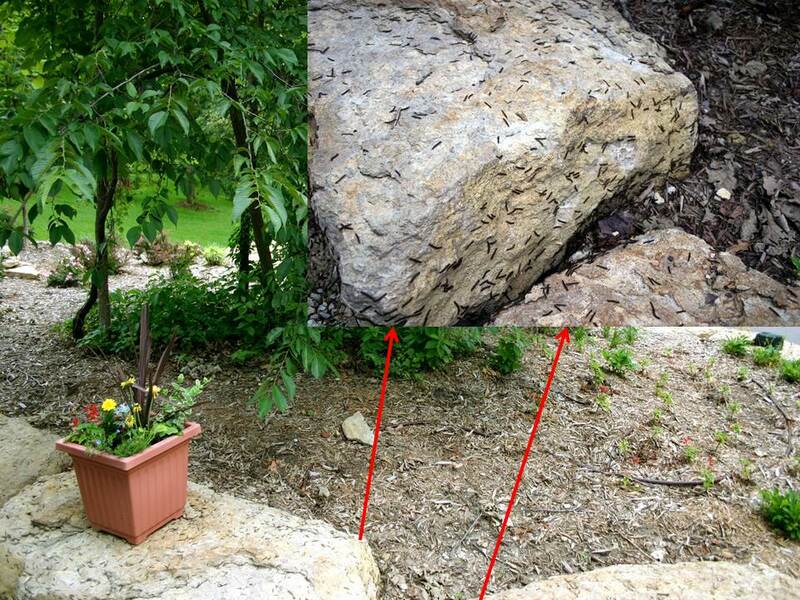 They are mostly observed around daybreak when massing on sides of buildings, patios/decks, driveways and sidewalks and decorative rocks. Especially on hot sunny days, they rapidly disappear as they seek protective shelter/cover, only to re-emerge during the ensuing evening. Frustrations arise when attempting to control millipedes. Again, millipedes seek “hiding places” —- any available crack or crevice in the soil, under bark mulch, under landscape stonework, gravel, plastic ground cover, leaf litter in and around homes. Elimination of these protected sites is impractical-to-impossible. Insecticides registered for use as perimeter treatments will eliminate those millipedes in the target area. 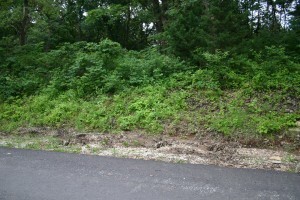 However repeated applications will be required for the duration of millipede invasions. 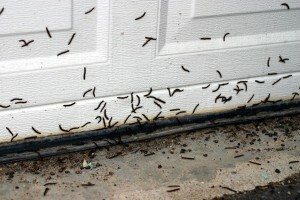 Another nuisance factor: the dead millipedes will have to be swept up and disposed of. The best news is that millipede activities stop as suddenly as they began!